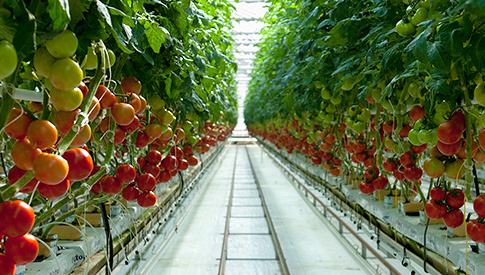 To see how we baby our tomatoes every step of the way, take a little video tour of our greenhouse. Vine ripened for full flavor. 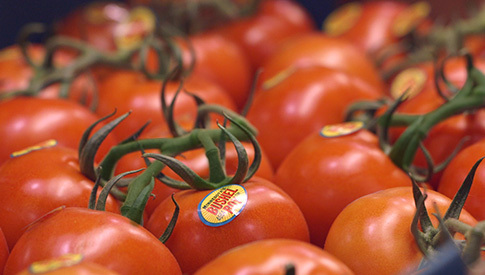 Other tomatoes are picked green in Mexico or California and ripen on a long truck ride. Not Bushel Boy. 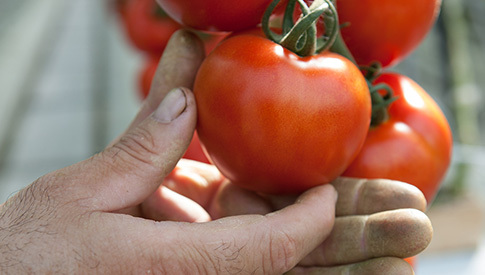 We pick our tomatoes red, ripe and juicy on the vine then rush them directly to your store within a day or so. It’s a difference you can taste with every juicy bite. Our greenhouses are literally buzzing with bumblebees who spend their days pollinating our tomato plants the way Mother Nature intended. 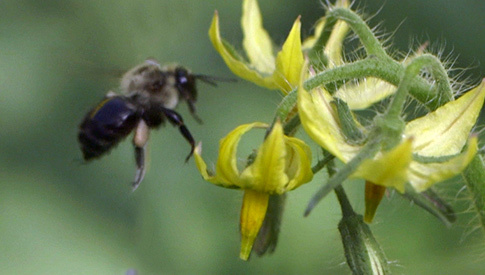 It’s a wonderful site to behold – and a mutually beneficial relationship for us, the bees and our tomatoes. We also enlist the help of “good bugs” who naturally rid our plants of pesky insects so you can enjoy more pure tomato goodness. Raised on water, nutrients and TLC. Every plant in our greenhouse is tended by a small, dedicated group of growers. 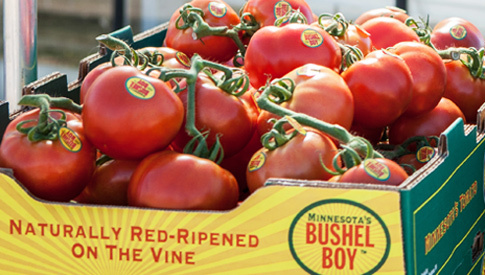 It takes a lot of attention and TLC to raise Bushel Boy tomatoes. And these folks deserve all the credit. Well, them, and the bees. 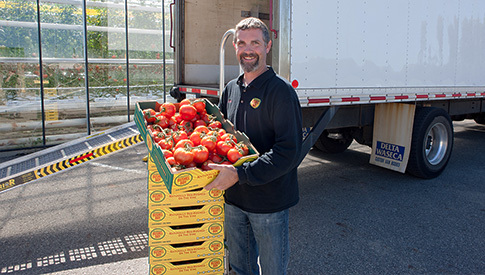 Unlike most of the tomatoes you’ll find at the store, ours aren’t trucked in from hundreds of miles away. So they’re nicer on your table and the environment. Conserving water with every bushel. 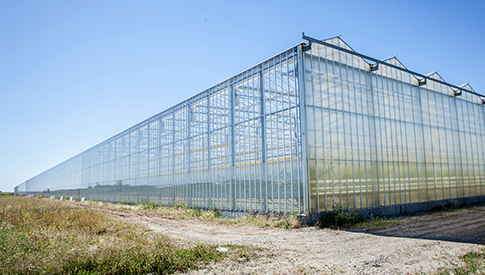 We try to conserve every precious drop of water we can by maintaining the perfect climate in our greenhouse. By comparison, tomatoes grown in the outdoors require 10 to 20 times more water. We have drastically reduced the amount of single-use plastics we consume and are working for further reductions in our packaging. We also compost our leaves and other organic matter to reduce our waste. Feeding the hungry, not landfills. All tomatoes that are not quite up to Bushel Boy standards are donated to local food shelves twice a week. This not only helps us reduce waste but helps provide fresh produce to those in need.